Please be aware: Due to John Deere's policy, this item is available for click and collect from one of our 3 stores. Delivery may also be available please enquire for more details if delivery is required. 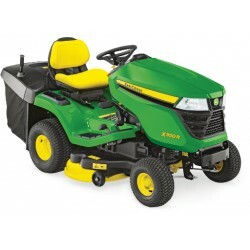 Part of the Lawn and Garden range from John Deere is here, take a look at the X166 below.